Let’s just say you’ve got a Saturday morning with nothing to do, some sheetmetal, holesaws and a welder. 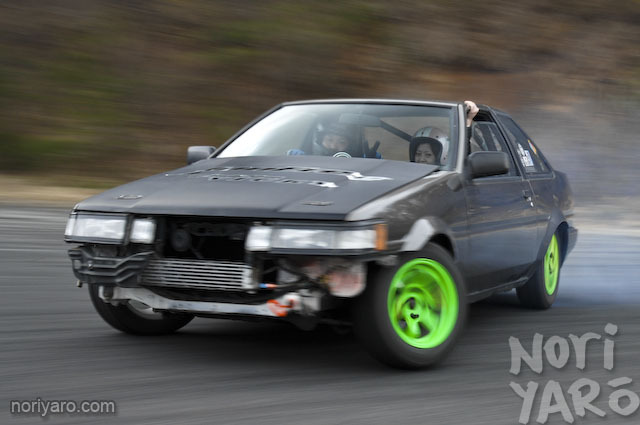 I did a bit of “dangerous cameramanning” on the first corner at Ebisu’s Kita Course at the last Drift Matsuri. It’s fun when you get these kinds of reactions from drivers. 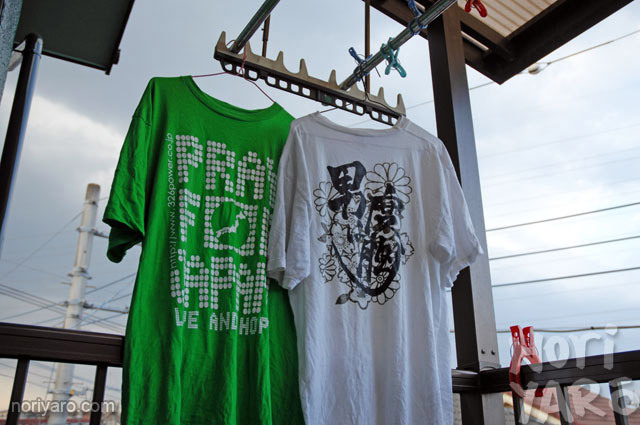 At Ebisu’s Drift Matsuri, the tradition is that they run a small competition on the Sunday morning. The format is usually something along the lines of solo runs or co-operative tandems on a section of track not normally used for competitions just to make it interesting, and it’s usually judged by a couple of D1 drivers, like Drift Samurai and Naoto Suenaga as seen in this pic. 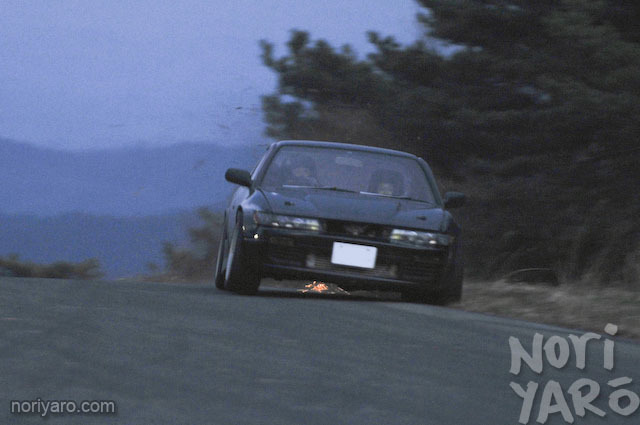 At the last Spring Matsuri, rather than use the usual corner at the bottom of the hill on Minami course, the comp was on what’s known as the “Let’s Go” corner up the top of the track, so named due to its blind crest and generally high speed required to clear it in one go. As a result, the competition was called “Let’s Go Bancho Ketteisen” which sort of means “Boss of Let’s Go Corner; Deciding Battle”. The winner of the comp was…me! 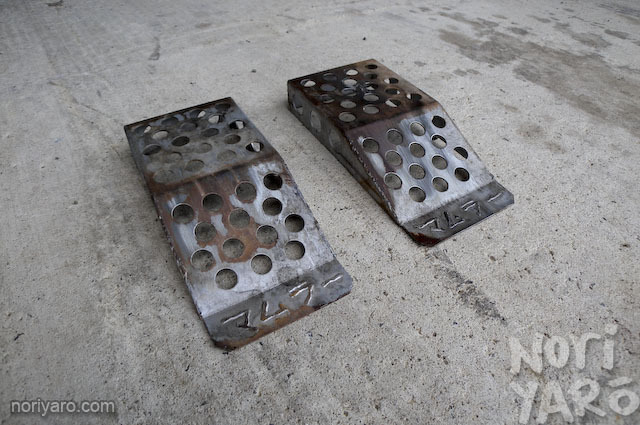 The prizes were supplied by Astro Tools, and I ended up with a rather nice foldable padded creeper mat, which is perfect for working underneath cars on the rough asphalt found in the pits of just about every drift circuit in the country. Everyone was going at it pretty hard. About two laps before this happened, I was right behind this guy! As a bonus, have a look at Stewy’s crack. Geez, can the Australians who come to Matsuri please try and keep their bums in their pants if possible? As a counter to yesterday’s post, have a look at this lovely little Wagon R. Even the spokes in the wheels are hearts. I <3 kei. 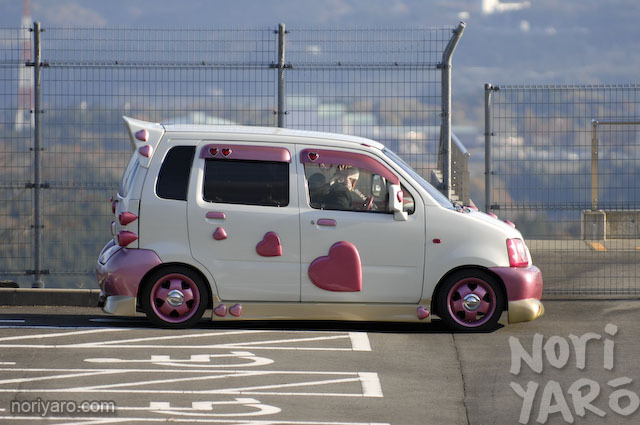 I’d like to point out that it’s a guy driving this car. Perhaps his wife took the Celsior that day? Here’s a pic of Team Orange “satellite driver” Tomohiro Ooshima doing some pretty loose drifting along the front straight at Higashi Course at the last Drift Matsuri. The best part of watching in the low evening light was his extremely sketchy dirt drop entries. Sparky sparky! 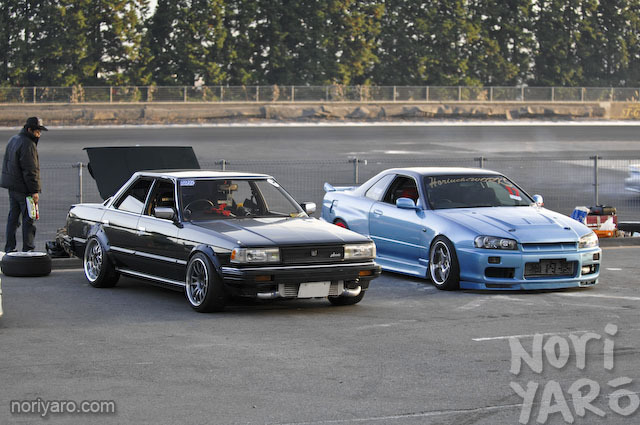 If this Chaser and Skyline were in a film together, it would be one of those buddy cop movies. The Chaser would be the Nick Nolte/Gary Busey/Jackie Chan character, and the the Skyline would be the Eddie Murphy/Keanu Reeves/Chris Tucker. Murtaugh and Riggs. Tango and Cash. Marcus Burnett and Mike Lowrey. Speaking of Nikko Circuit, MSC is on there today. Take a look at the pits from the live camera after about 7:00AM Japan time. Unfortunately it’s not a streaming camera though, so you’ll have to be happy with regular still updates. 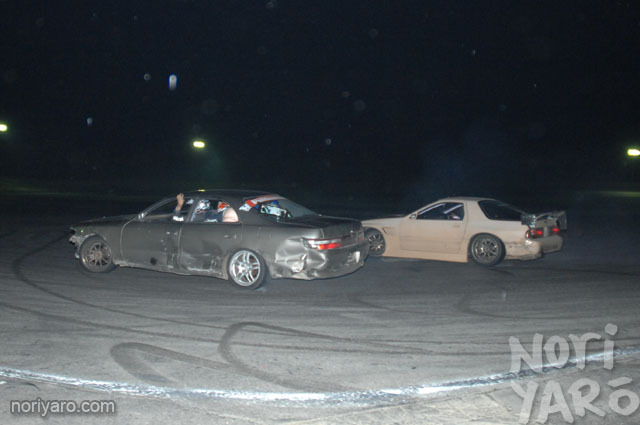 Ebisu Circuit’s Drift Matsuri is the most enjoyable drifting event in the world.